I hate to be the bearer of bad news, since I know that you are only days into owning an LG G3, a phone that we called the “best phone you can buy right now” in our G3 review, but a newer, better version has already been announced. That’s not a joke either. 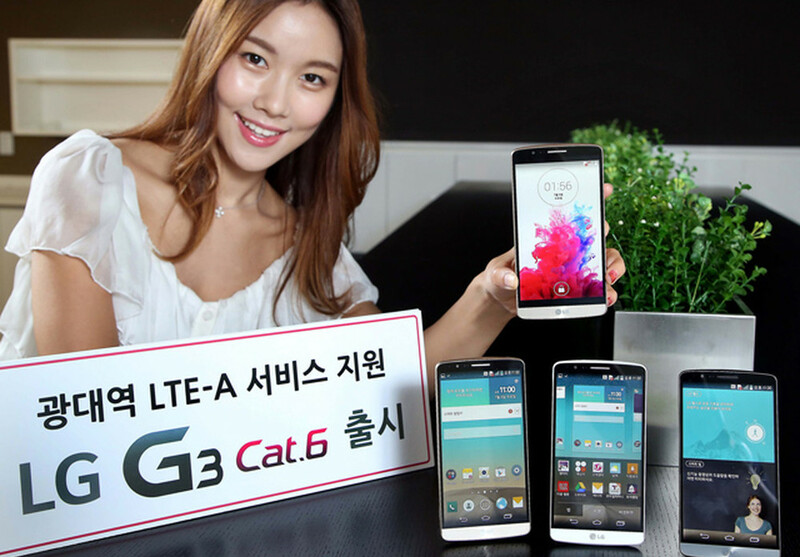 LG, last night, announced the LG G3 Cat.6, which is the same G3 you already own but with LTE-Advanced connectivity and a Snapdragon 805 processor. For the most part, this isn’t that big of an upgrade, but when you consider the Adreno 420 GPU in the 805 vs. the overclocked Adreno 330 in the Snapdragon 801 used in the current G3, you should see a difference in tasks that involve pushing all of those QHD pixels. In other words, gamers could benefit from the GPU in the 805. The 805 also brings a slight performance boost thanks to its Krait 450 cores and has new camera enhancements, though LG would have to build in specific features to take advantage of the 805’s prowess there. On an LTE-A front, this variant of the G3 will see much faster download speeds (225Mbps download), assuming you can find a capable network. The rest of the specs are the same – 5.5-inch QHD display, 3GB RAM, 13MP camera with OIS+, 3,000mAh battery, white/gold/black color options, and Android 4.4.2. If this situation sounds familiar, that’s because Samsung just did something similar, though you could easily argue that Samsung’s releasing of two Galaxy S5 variants is far worse than this. After having announced the original Galaxy S5 in February, with rumors of a higher-end “Galaxy S5 Prime” accompanying it, Samsung did indeed unveil a beefier S5 variant for Korea in June with LTE-A, a QHD display, 3GB RAM, and a Snapdragon 805 processor. The original Galaxy S5 features a FHD display, 2GB RAM, and a Snapdragon 801. No word was given on availability, but it would shock me to find this phone anywhere near a US carrier in the near future.